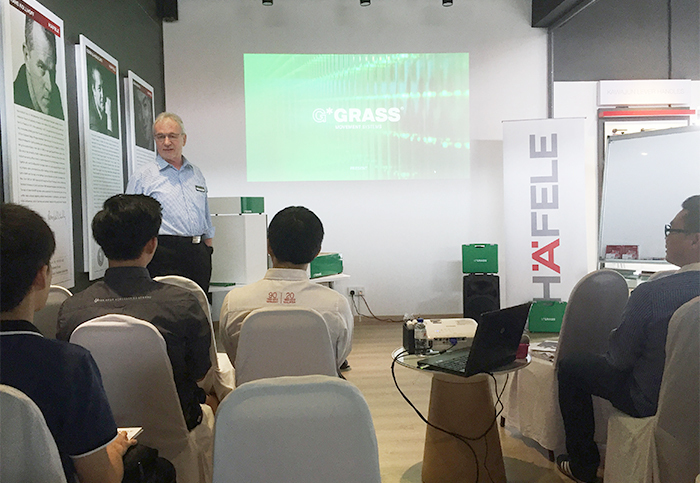 On April 27, 2016, Hafele Malaysia is in the honour of housing Mr. Klaus Szypryt from Häfele Engineering GmbH & Co KG, and Mr. Norbert Claus from GRASS GmbH to conduct a workshop to Hafele Malaysia authorized dealers and studio partners. Mr. Klaus has profound experience in lifter engineering and is currently the product manager of FREE. On the other hand, Mr. Norbert has been with the organization for close to 33 years now. 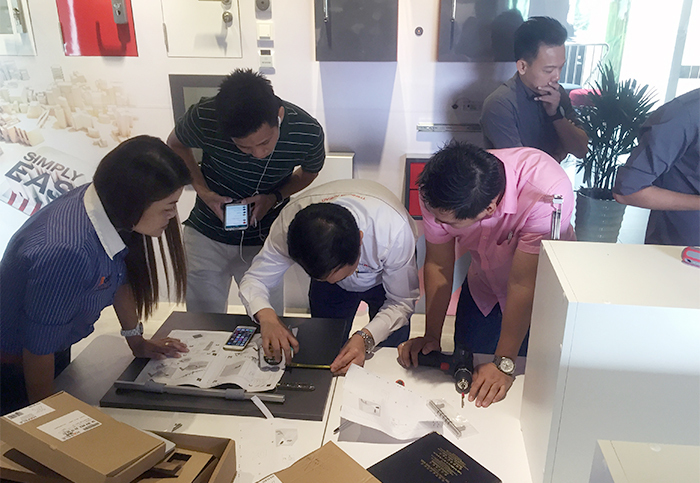 Mr. Norbert’s deep and thorough understanding of the industry is broad and far-reaching. Mr. Norbert is now area sales manager at GRASS GmbH. 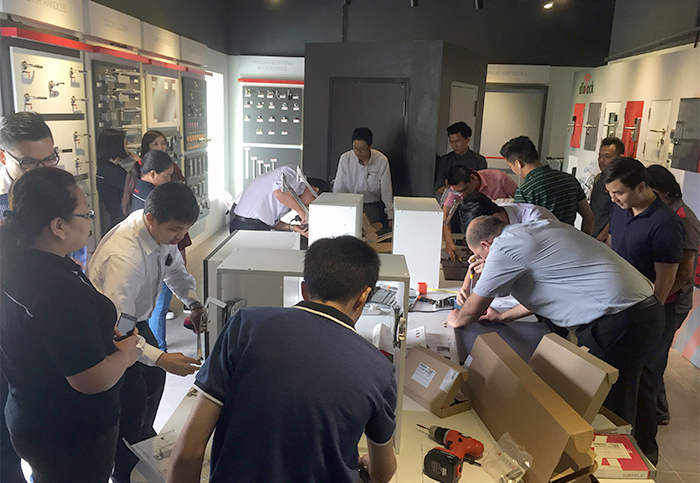 This is a workshop combined ‘theory’ - product presentation and ‘techniques’ - hands on training to achieve maximum understanding. 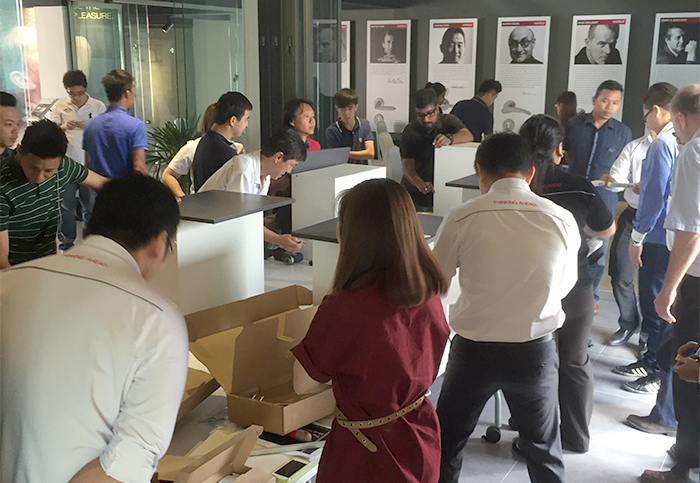 This interactive and engaging workshop is designed to provide immediately applicable skills and methods that ensured consistent stream of innovative products and services that customers love, and hence, moving forward to enhance their business strategy. We witnessed enthusiastic participation throughout the workshop. 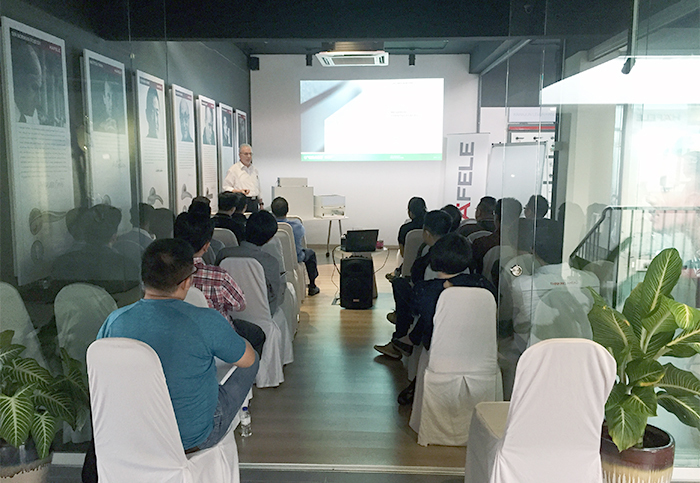 Hafele Malaysia is determined to organize more of such to gear up and moving forward with our partners.